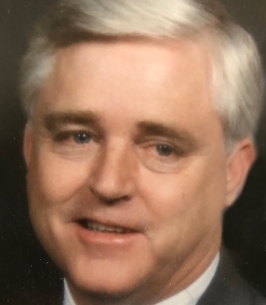 Troy, 74, passed away Oct 14, 2018 surrounded by his loving family. Troy was born Oct 2, 1944 in Granite, OK, to Troy and Dorothy Groves. His family moved to OKC when he was very young. 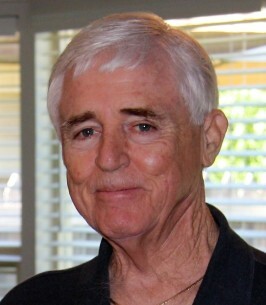 He graduated from Capitol Hill high school in 1962. He married his high school sweetheart, Jacqueline May Williams on November 17, 1962, and they remained married for nearly 56 years. Shortly after they wed he went off to boot camp for the Air National Guard and served 6 years. After his time in the service he worked at Tinker Field as an electronic engineer and attended OU at the same time working towards a degree in electronics. Troy and Jackie were blessed with two sons, Tim and Tracy. Troy was a hard worker and always did his best to support his family. In 1971 he started his own company, Electronic Services Unlimited, for which he successfully operated until his death. Troy had his pilot’s license and he owned a Grumman Tiger airplane. On occasion, he flew his family around to different destinations for family trips. Troy also loved sports cars and owned a number of them over the years. Troy and Jackie enjoyed taking their sports cars for road trips and made lasting memories. Troy and Jackie were huge Neil Diamond fans and took the family to a number of Neil Diamond concerts, even sneaking on the stage claiming to be a photographer on one occasion. Troy had many hobbies and pastimes but his family was the most important to him. His family will miss him deeply. Troy was preceded in death by his father, Rev. Troy Groves. Troy was fortunate enough to have four beautiful granddaughters, Haley, Taylor, Tori & Sami. They lovingly called him Pappy. He always called them his number one’s, but what he didn’t know was that he was their number one. Troy is also survived by his brothers, Doyle Groves & his wife Belinda, David & his wife Susan. 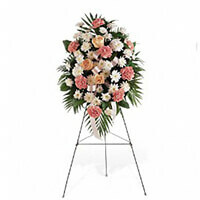 To send flowers to the family of Troy Ray Groves, please visit our Heartfelt Sympathies Store. May the promise found at Isaiah 25:8 bring some comfort in the death of Troy Ray Groves. "He will swallow up death forever. The Sovereign Lord will wipe away the tears from all faces." Just imagine, no more pain and grief due to the death of a love one! By means of the Kingdom that Jesus Christ taught us to pray for at Matthew 6:9,10; God is going to remove sickness, old age and death from the human family. God's original purpose for the earth being a paradise will be realized. You are loved and will be missed dearly. Tracy, our thoughts and prayers are with you and your entire family.